I probably shouldn’t say this, but I’m gonna say it because Kawhi is about to be outta there. There was a point during his rehab process in New York that some of the Spurs brass went out to see him in New York. As soon as those guys arrived to the building, Kawhi’s people grabbed him and sequestered him to another part of the building. And so the Spurs’ people couldn’t even see him. 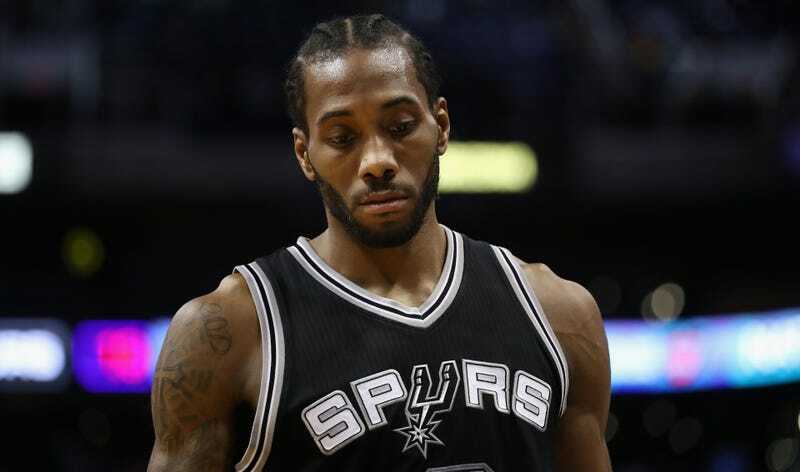 It seems that when Gregg Popovich said that questions about Leonard’s medical status should be redirected towards “Kawhi and his group,” he was being sincere because he truly didn’t know anything about Leonard’s mysterious injury.